Need Acura Windshield Repair or Replacement Services In Toronto? Advantage Auto Glass service centres have been sufficing the needs of Acura vehicle owners for many years now. We are known to provide excellent windshield replacement and repair services to Acura car owners. We don’t care what model you own, or how old your car is. If you own an Acura car and are looking for an immediate repair or replacement of the windshields, call Advantage Auto Glass today. Our certified technicians have the expertise to fix windshield chips and to fix windshield cracks of all models of Acura cars. We have the most skilled and experienced team of professionals in Toronto who are fully trained and well versed with the latest advancements in the auto industry. We have been in this industry for many years now and we certainly have the knowledge to perform broken windshield repairs, promptly and efficiently. If you are looking for a prompt windshield chip repair or auto glass repair service from the providers in Toronto, then contact the staff of Advantage Auto Glass. We offer same day services. At Advantage Auto Glass, we offer Acura OEM and OEE auto glass and windshield replacement parts. Our glass will be a perfect fit into the vehicle and will also last longer. In addition, we also offer mobile services to our clients. So, our staff will come to your location and fix the windshields, leaving you stress-free in the whole process. Moreover, our technicians will also take care of your insurance claims, if needed. So, all in all, with our staff, be assured of receiving a hassle-free experience of repairing and replacing Acura windshields. Acura Windshield Replacement & Repair Cost In Toronto? Advantage Auto Glass will offer auto glass & windshield replacement services in Toronto at affordable and reasonable rates. At this stage, we cannot give you a fixed number, because the cost depends on many factors such as the location of the car, scale of damage, model year, and so forth. But, be assured of receiving the best prices for our services. Feel free to call us on our helpline number to speak to our friendly staff member who will be happy to give you a free quote. 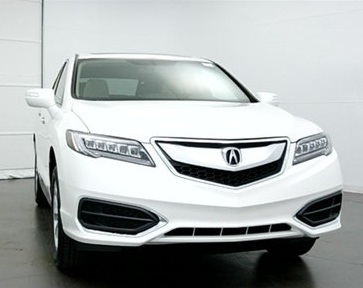 Knowing About Acura Auto Glass Parts! So how do you assess the quality of auto glass parts that are used in your Acura vehicle at the time of windshield replacement or repair? Look for high quality OEM auto parts that are known for its pristine quality and durability. Since we are in the business for many years, we have a network of sources that we depend on for auto parts. And therefore, we usually have access to all kinds of genuine parts at reasonable rates. So, our Acura windshield repair cost is always affordable to our clients. For all Acura windshield replacement and repair needs, call Advantage Auto Glass Repair Toronto at (416) 740-7779.